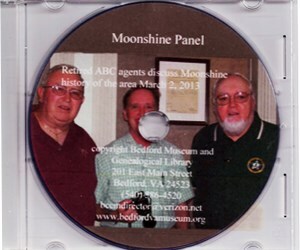 In this DVD former ABC agents talk about their experiences in catching moonshiners. Also, Former moonshiners tell their experiences of being pursued by the law and of making moonshine. The Panel features John Wright, Buddy Driskill, Dan "Mac" MacCulloch, Bobby Bondurant, James Swain, Bobby Reynolds, and Jack Powell.